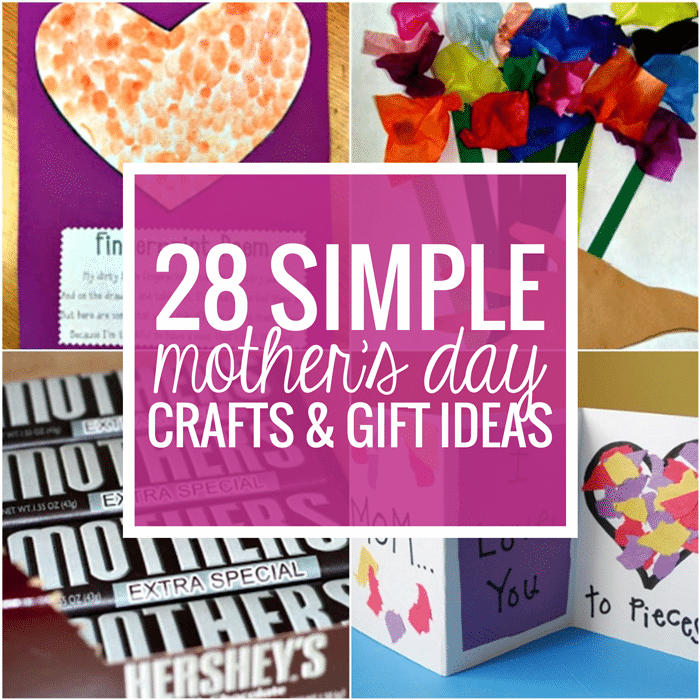 If you’ve been following my blog, you probably figured out that I love using writing rubrics! 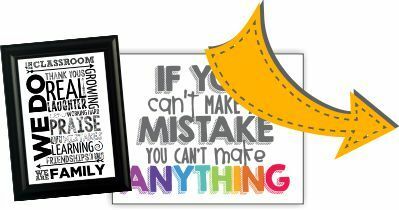 Today I want to share what a writing rubric is, why I like using them and share links to 3 free writing rubrics you can use. 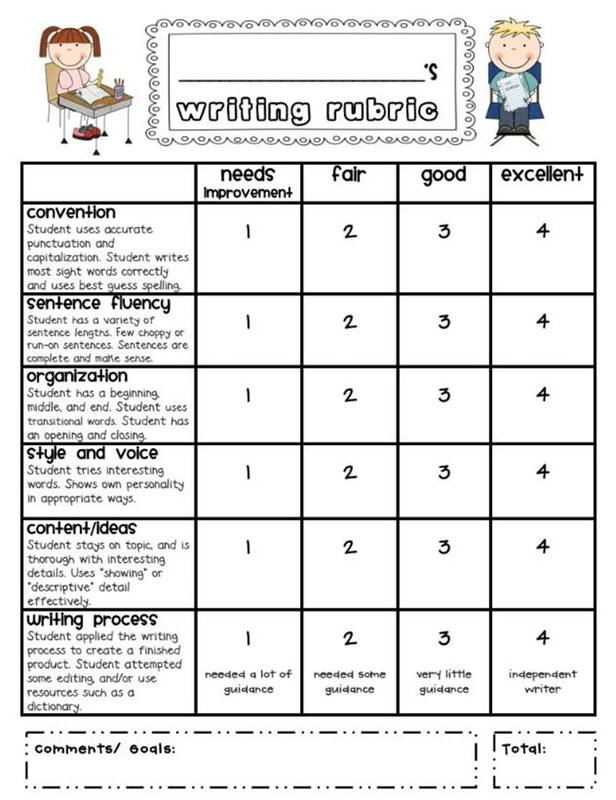 What is a writing rubric? 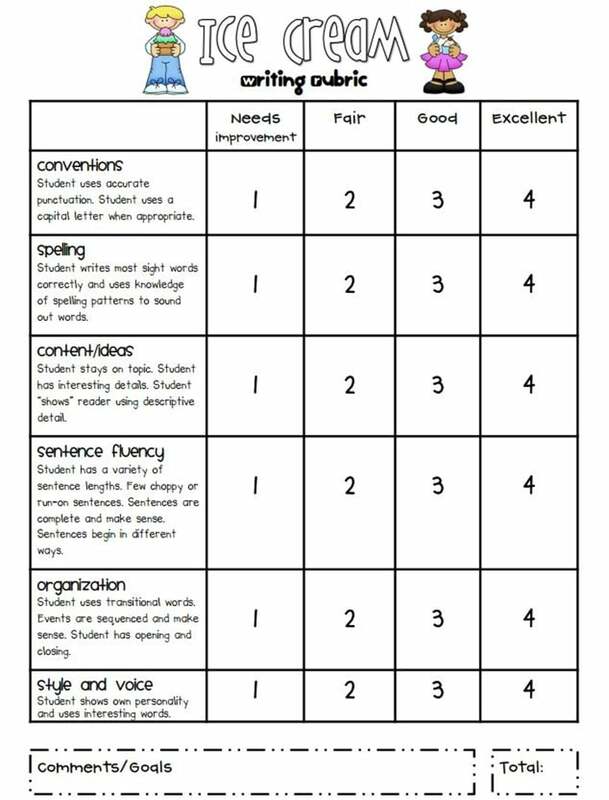 I think of a rubric as a performance scoring guide. Rubrics lay out expectations of an assignment by listing criteria and levels of quality on a scale. I don’t claim to be an expert by any means, but I do love using them! 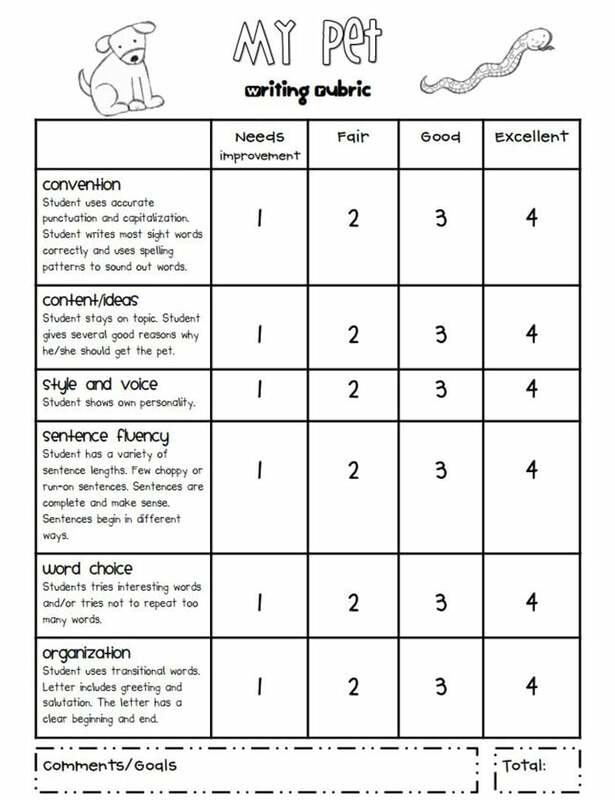 I like to use writing rubrics because they help me to be consistent when grading student writing. Rubrics also set up my expectations to help me, my students and parents see what I am looking for. Making/using rubrics helps me to really think about what I expect from my students as writers. I’ve been teaching first grade for 6 years now, so I’ve read a lot of student writing! I’ve experienced so many different levels of writing and writing styles. I realized early on that there isn’t just “good writing” and “not so good writing”. Some kids are excellent with their conventions/neatness which sometimes led me to give them a better grade even if the actual writing wasn’t that spectacular. On the flip side, you may have a student with horrible developing handwriting and complete lack of conventions (including most words spelled incorrectly), but they have amazing voice or interesting ideas. They are often overlooked as “bad writers” just because their writing looks so bad. Using rubrics not only assisted me in communicating these strengths and areas of improvement, but it also allowed me to celebrate a student’s gifts as a writer. When I started using rubrics I found that my grading was more fair and consistent. I also found that I was able to set goals more easily for my students because it was easier to see where they didn’t quite meet my expectations. Parents are also able to easily see (and hopefully understand more completely) where their child is at as a writer and what they can work on. And let’s not forget the time I saved with using rubrics! I don’t feel the need to write as much on each paper because the rubric explains a lot of it. If you teach writing, think about what you look for in your writers. Have you set those expectations for your students and for yourself? Do you look for the same thing in every writing piece or do you have a special focus for certain writing pieces? Do you communicate these expectations and goals to your students? 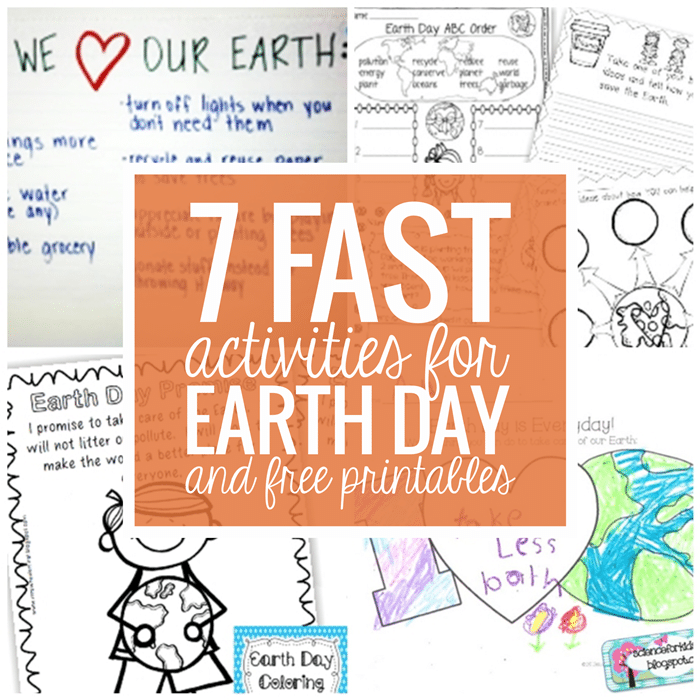 I’ve also have some theme specific writing prompts and rubrics that you should check out. My end of year writing rubric focuses on content that has a beginning, middle and end. 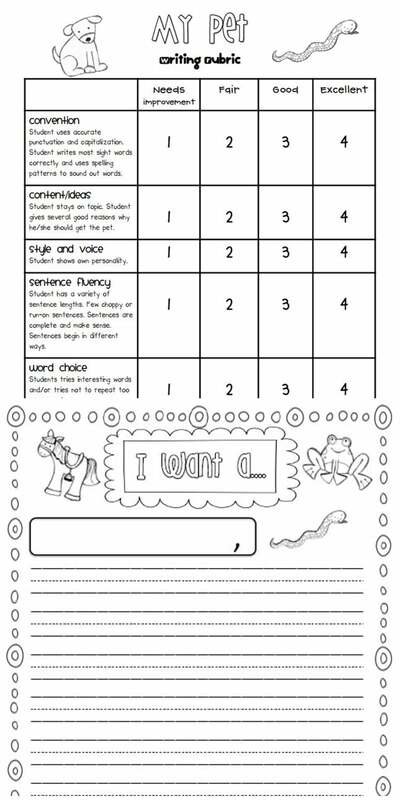 Scores are 1-4 and students receive scores in: conventions, sentence fluency, organization, style/voice, content/ideas and the writing process. 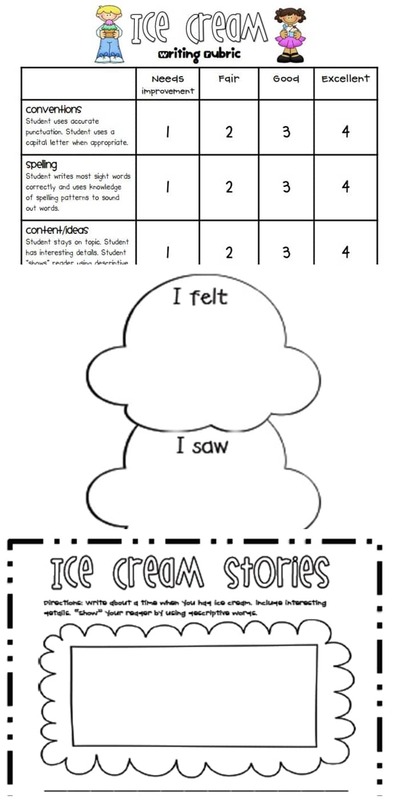 Work on taking a big topic and zoom in on a small moment (like Lucy Calkins teaches) with this Ice Cream small moments writing graphic organizer, writing paper and rubric.